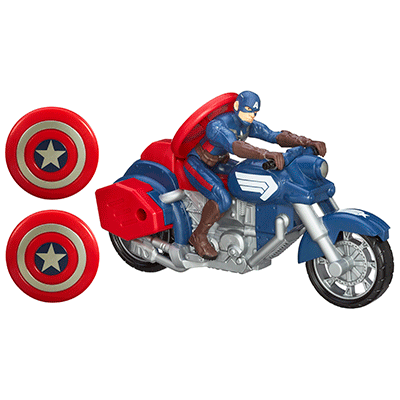 Captain America blasts into battle on this super-charged combat cycle. Whether he's chasing down a rogue agent or charging the gates of an enemy base, the First Avenger leaves his foes cowering in the dust! 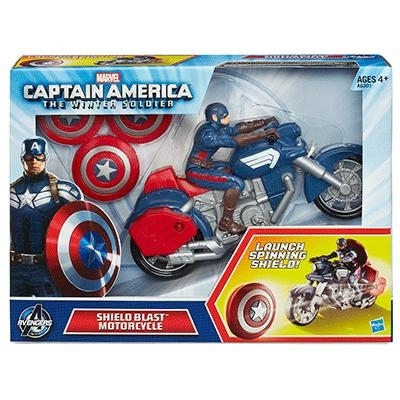 Rev your engine for hard-charging Captain America action with the Shield Blast Motorcycle vehicle! Your Captain America figure will run down the bad guys on this fast-rolling cruiser, and he's shielded from ambush by the motorcycle's rear shield. Villains won't see his attack coming when he fires a spinning shield from the vehicle's launcher! Get your hero zipping into battle and launch all 3 included shields at the foe! Vehicle comes with figure and accessories. Special 10% OFF for a limited period only. 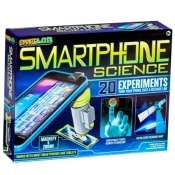 Sale Price: £15.98 You Save: £1.78 (10%)!